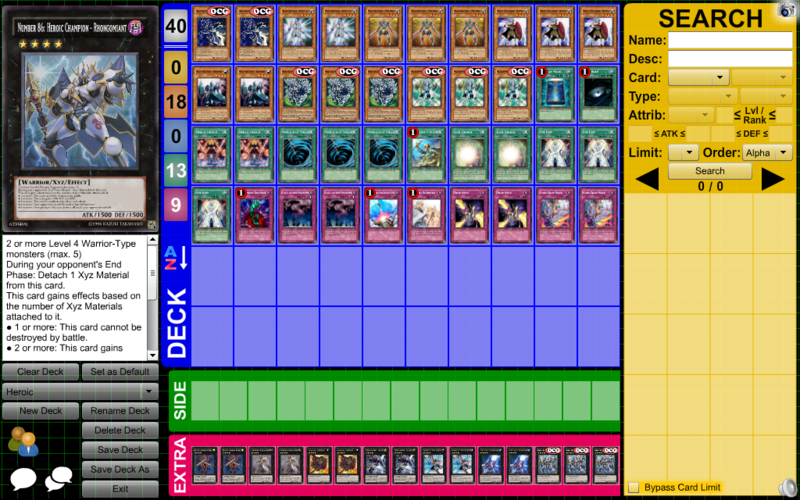 » Yu-Gi-Oh Help » Deck Construction Factory » Heroics - Rhongomiant orientated. How would I go about improving this deck? I'd like to know what staples I am missing from this when I have warning, mst, bottomless, book of moon and dark hole as well as others like compuls, reinforce and soul charge...and a side deck is usually just there as an alternative playstyle or to counter other decks, I really just wanted to fix the initial deck first. 5 Re: Heroics - Rhongomiant orientated.